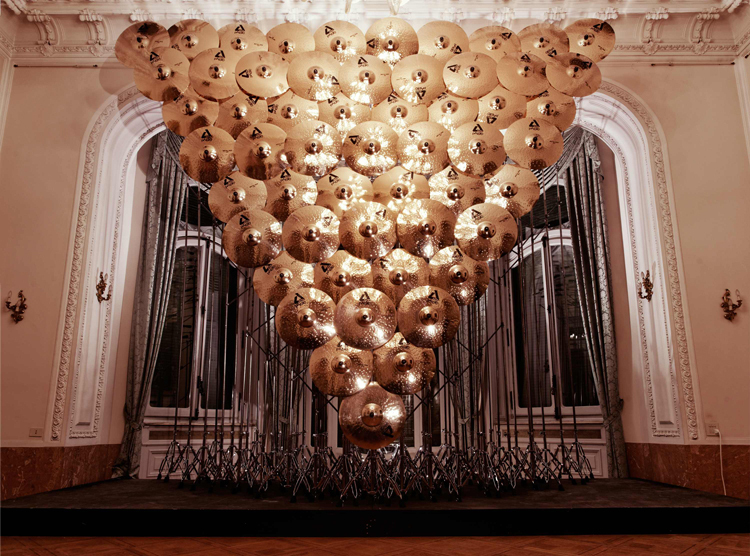 This audio / visual installation by Nicolas Field, named "Shimmering Beast", is made of cymbals, cymbal stands, low frequency audio transducers and lights. 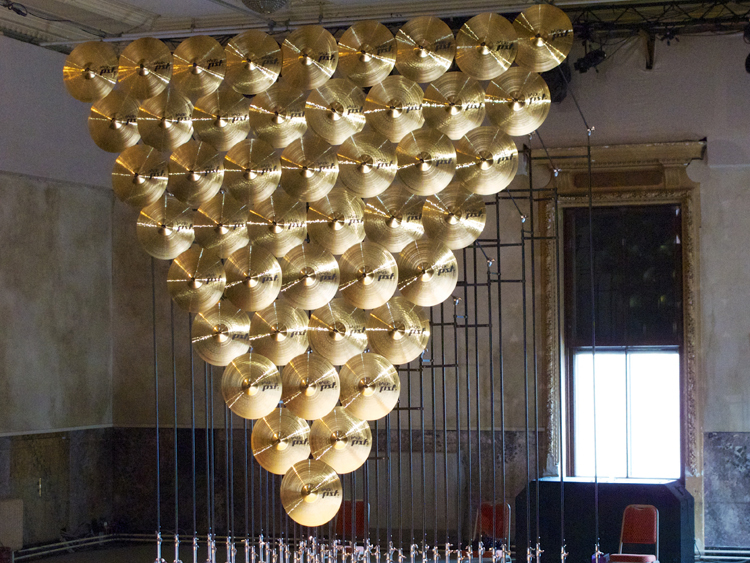 This piece consists of a massive and visually stunning isosceles triangle shape made of cymbals that are hung vertically on the modified cymbal stands, themselves set on a podium. 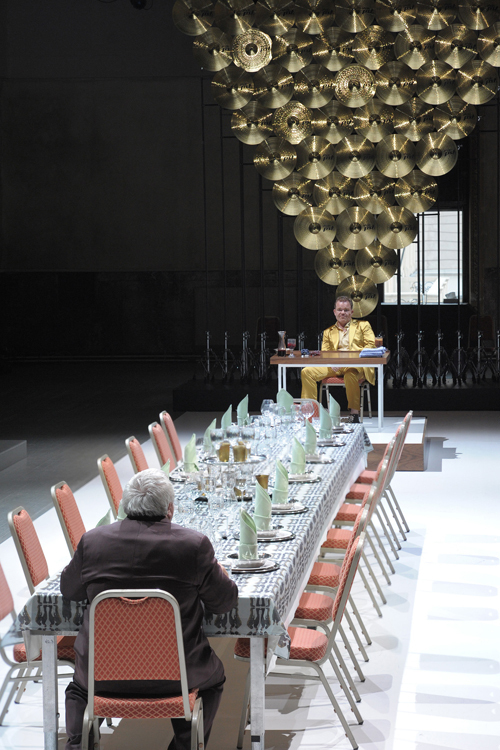 The cymbals are positioned so that they slightly touch each other, creating a network of interdependencies. In this way, when one of the cymbals moves, it forces all others to follow in its movement and resonance. 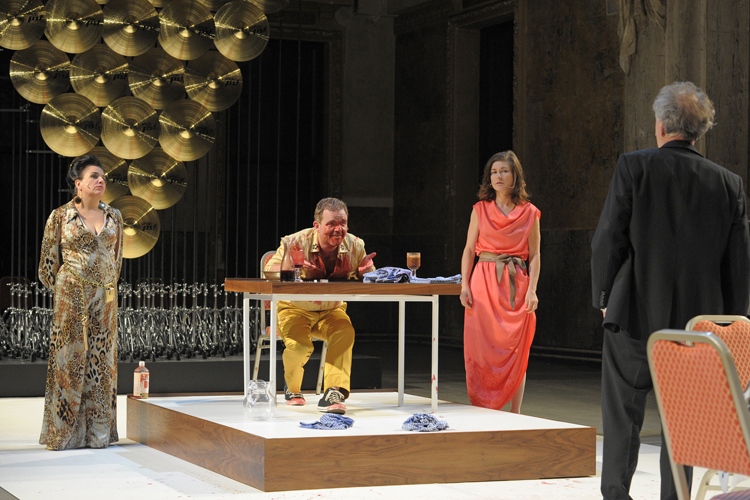 Under the podium, four vibrators are set to amplify extremely low frequencies generated by the computer, shake the floor on which the stands are positioned and accentuate the rustling of the cymbals (like a miniature earthquake). 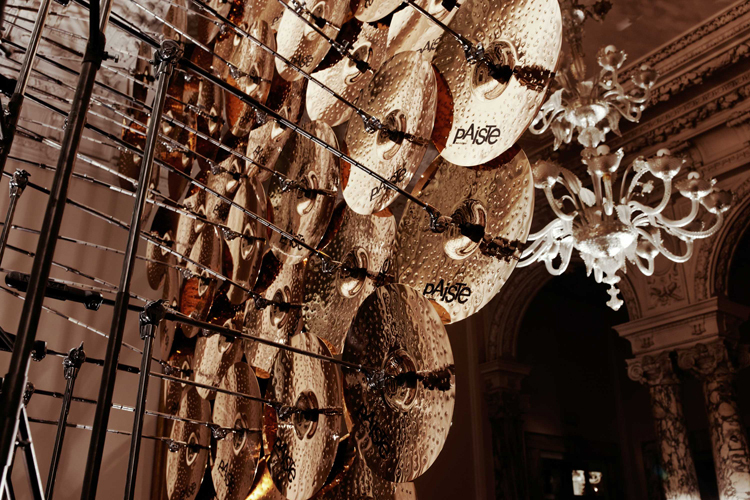 The cymbals start to shake, ring and resonate. 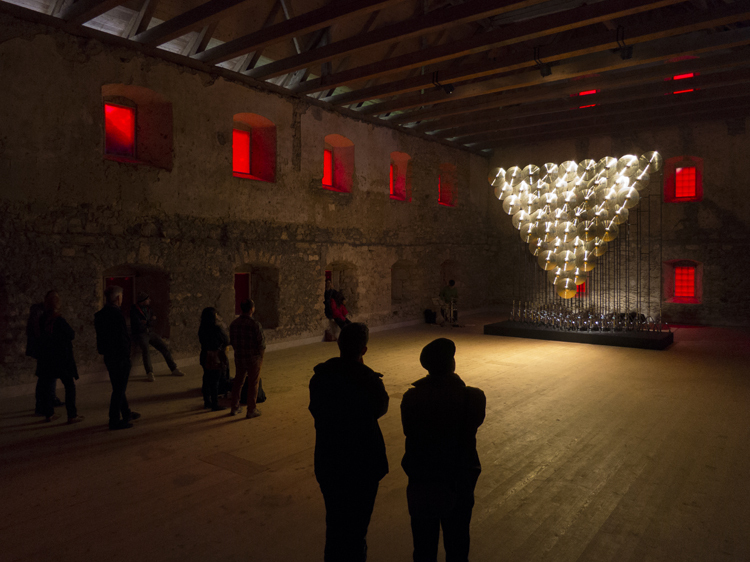 Illuminated by spotlights, the construction forms a sort of golden wall, shimmering and reflective. The reflection of the light that is projected from the front on the cymbals is influenced by the movement of cymbals and shimmers like a disco ball, the sun on the water or a mirror that one would move. The project as a whole forms a large triangle 55 cymbals thus constituting a wall of 5 meters by 5 meters.